Mornings can be rushed. Particularly weekday mornings. And when you’re trying to eat more healthily, it’s hard to avoid falling into the trap of grabbing something quick and instantly gratifying for breakfast (like a cereal bar). If you’ve got two minutes and a smoothie maker though, you have a healthy and nutritious breakfast at your fingertips. 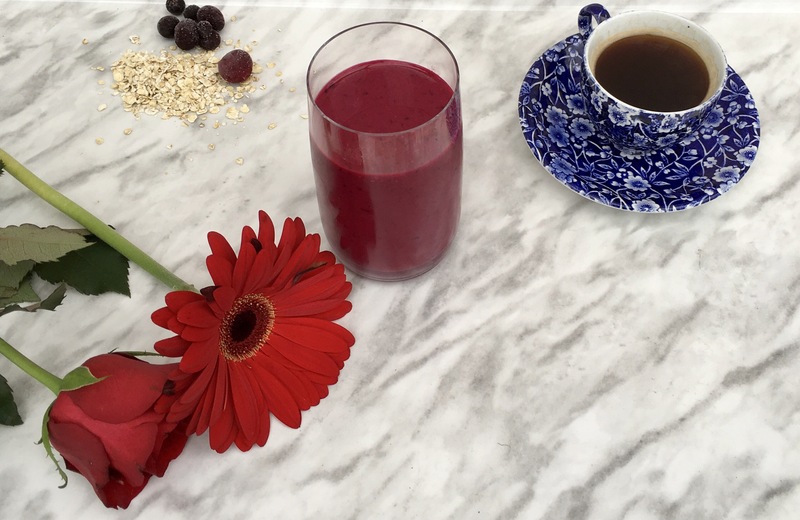 When I first got my smoothie maker, I was a bit put off by the fruit and veg prep – if I’ve got to peel, slice, and de stone then it’s not exactly quick and easy. For this recipe, though, the extent of the prep is pouring – so easy and so delicious! 1. Put all of the ingredients in the smoothie maker. Top up with water. 2. Whizz. Add more water if it’s too thick. You’re done! Simple, quick and so healthy.